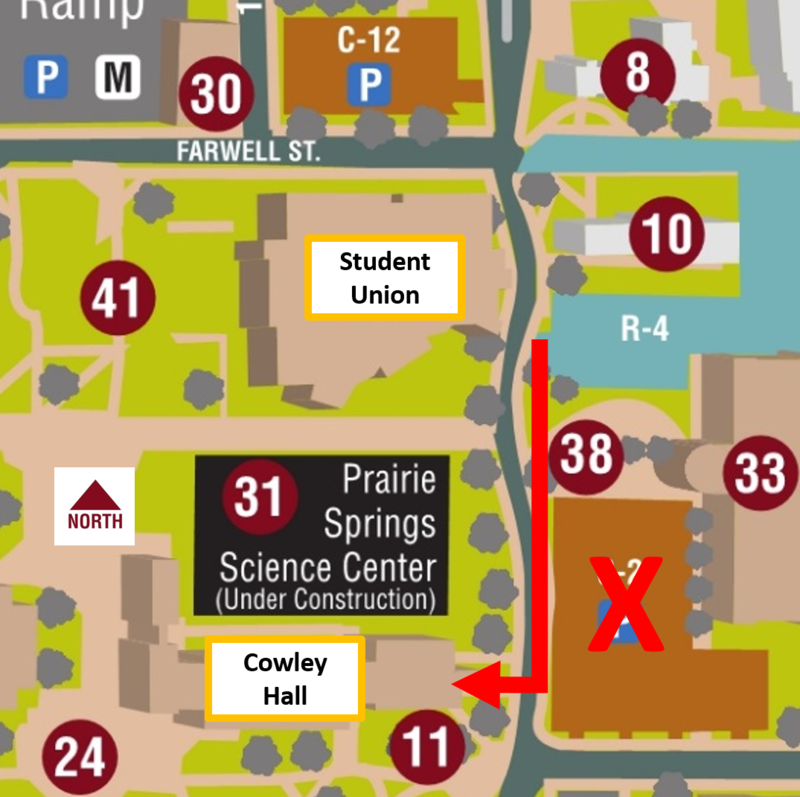 Please note - the parking lot directly across from Cowley Hall (C-2) is CLOSED to UMGEOCON attendees. Thus, the closest available parking lot for workshop attendees is R-4. 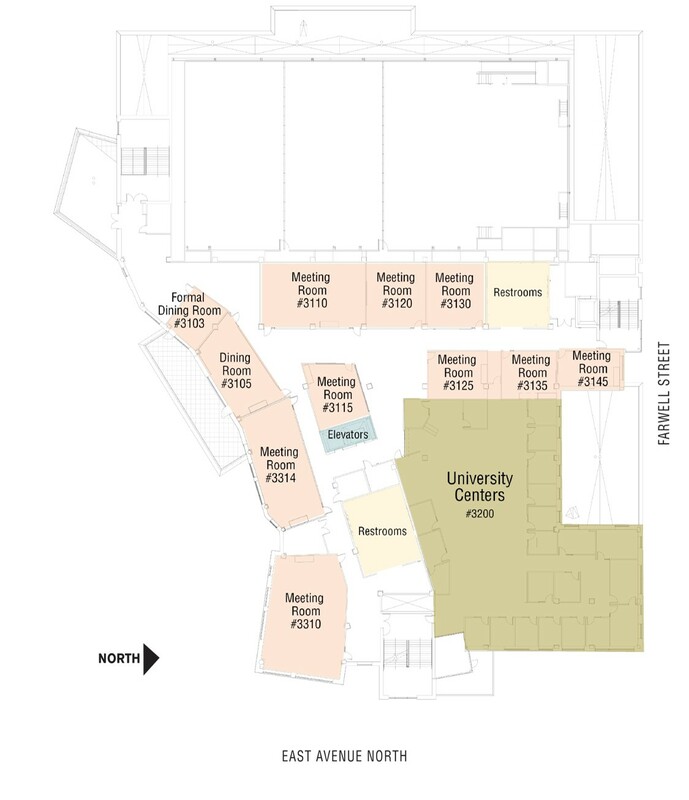 Map below shows the locations of the UW-L Student Union, Cowley Hall, and Parking Lot R-4. Additional information about event parking can be foud by scrolling down this page. Thursday, May 24 - Buffet lunch of lasagna, chicken parmesan and accompaniments. Vegetarian and dietary sensitive options will be available. Local restaurants around the perimeter of the UW-L campus. 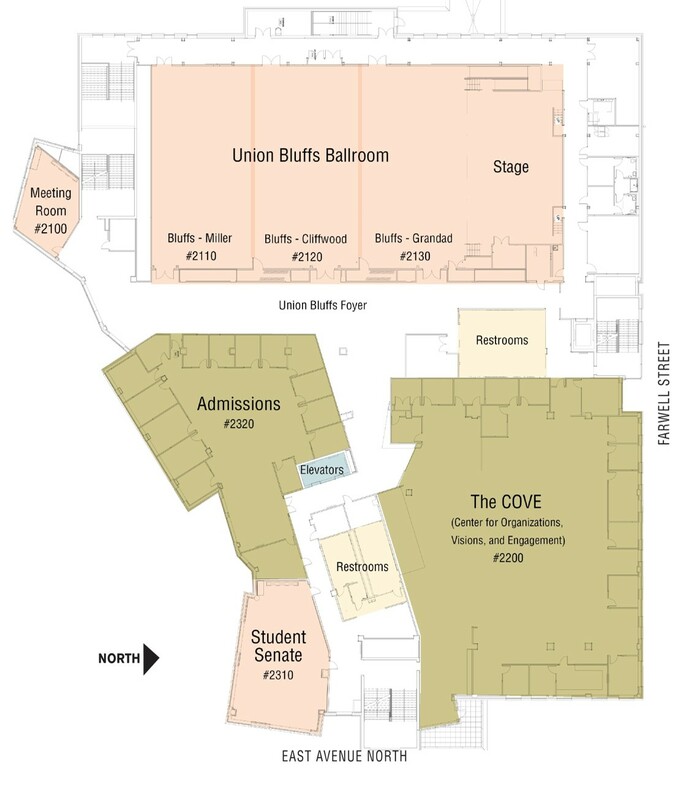 Location of the UW-La Crosse Student Union in the map below is denoted by a yellow circular home symbol. 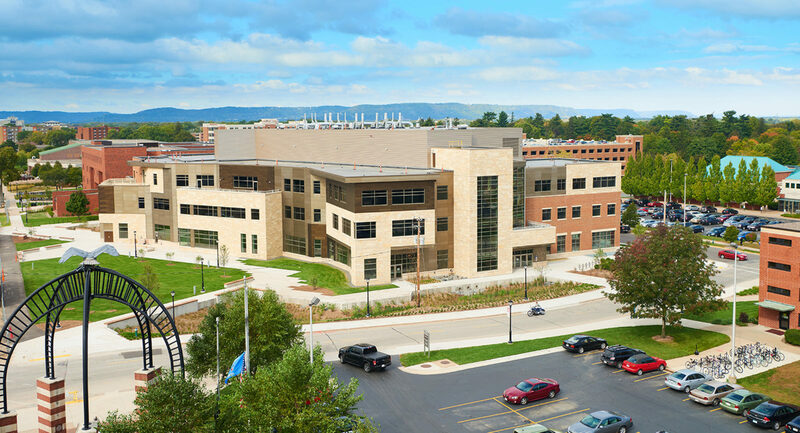 There is dedicated FREE event parking in all Residential (R) and Commuter (C) lots of the UW-L campus EXCEPT for C-2 (in use by another event) and the multi-level parking ramp adjoining the Parking Services and Police Station building (closed for maintenance). 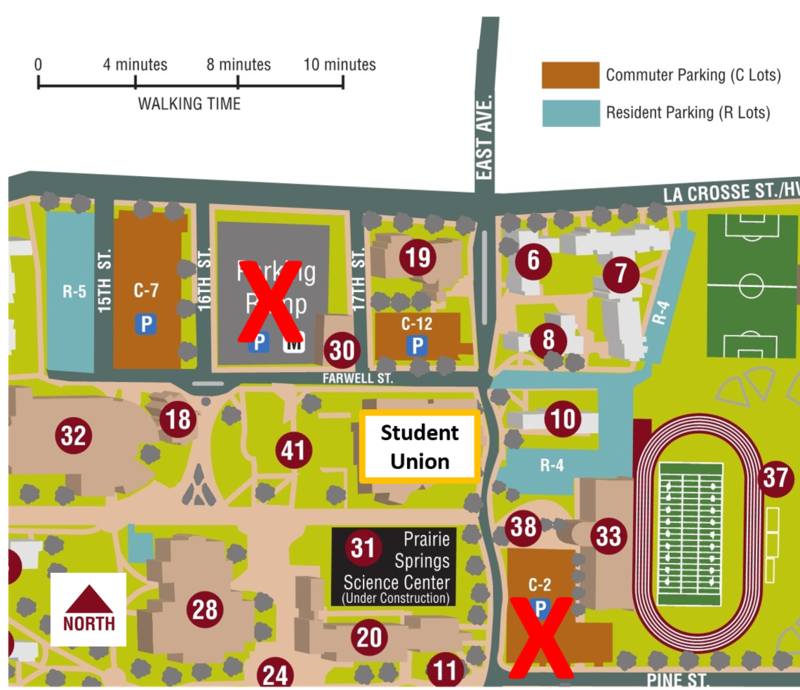 Red X's on the map below denote the off-limit parking lots relative to the Student Union. The closest usable parking lots to the UMGEOCON event site are R-4 and C-12. The closest over-flow parking lots after R-4 and C-12 are C-7 and R-5. There is no need to place anything in the window of your car. Additional parking information is available by clicking here.